30hands is an excellent app to use with students in class. You can use it for a wide variety of purposes from creating demos and tutorials to crafting visually appealing presentations and videos. 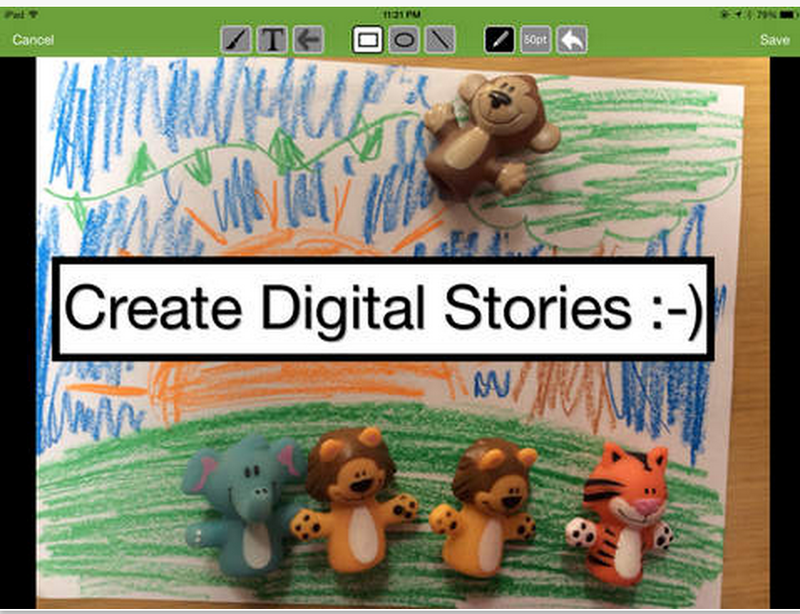 Students can use it to create multimedia productions showcasing their learning in the form of a slideshow with audio narration, or through an audio-enhanced image portfolios to mention but a few examples. Given its intuitive interface and simple layout, 30hands can be used with different age groups. 30hands is also great for digital storytelling. Students can add images and draw slides then arrange them by a simple drag and drop. They can also record and add audio for each slide then preview their creation before publishing it as a video to the Camera roll, Dropbox or Google Drive. Check out the video below to learn more how to use 30hands to flip your classroom.